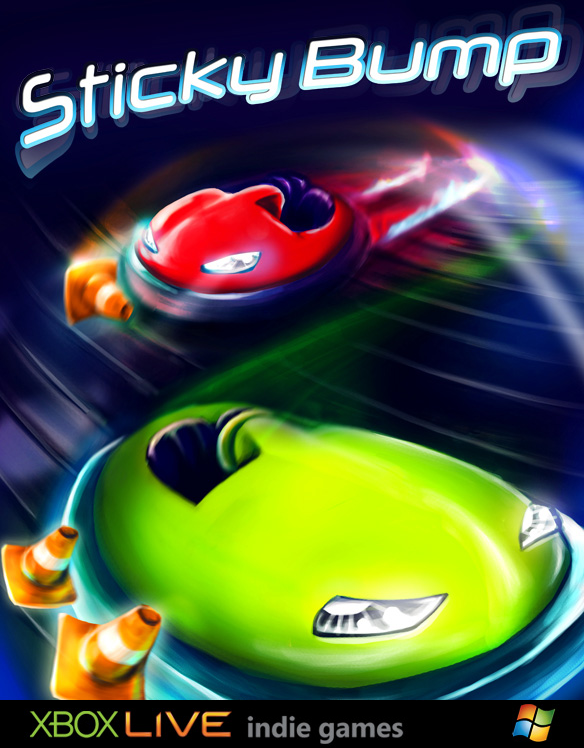 Collect, chase, dodge, escape, bump, and capture that beloved sticky bumper! 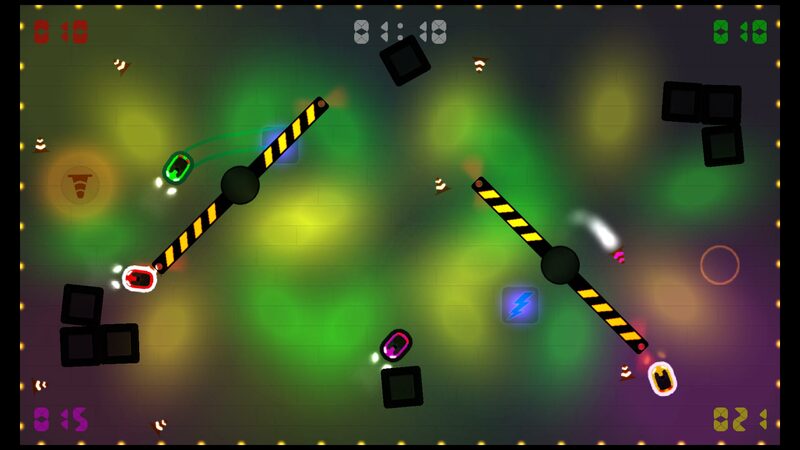 Get your friends together, prepare your clever tactics, and drive those crazy bumper cars! Goal of the game is to collect traffic cones and bring them to a drop-off point. Only the so called ‘Stickies’ can do this. 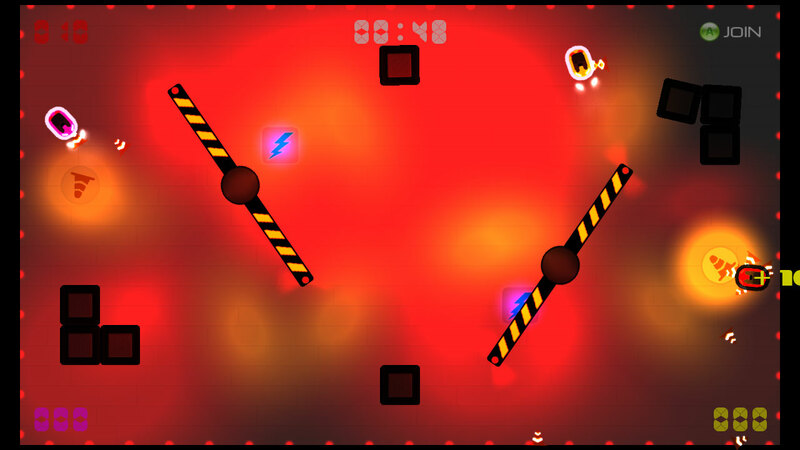 When a Sticky succeeds, it scores points, but transforms to a ‘Bully’ as well. Bullies don’t collect cones, they chase Stickies. Why? 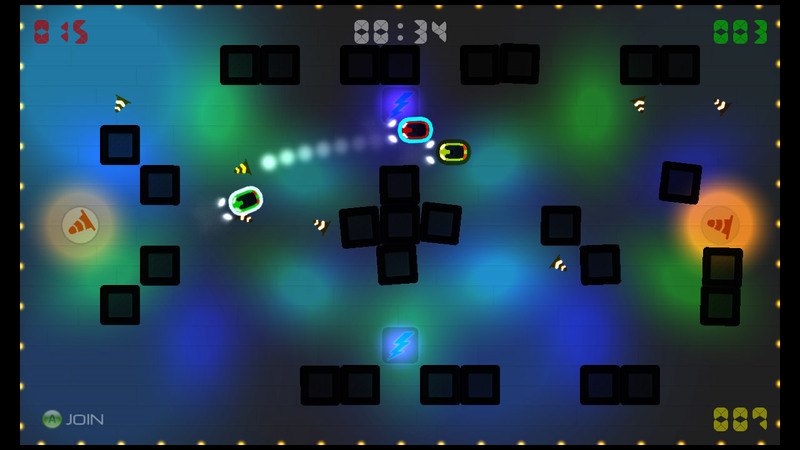 Because the only way to become a Sticky again, is bump one. 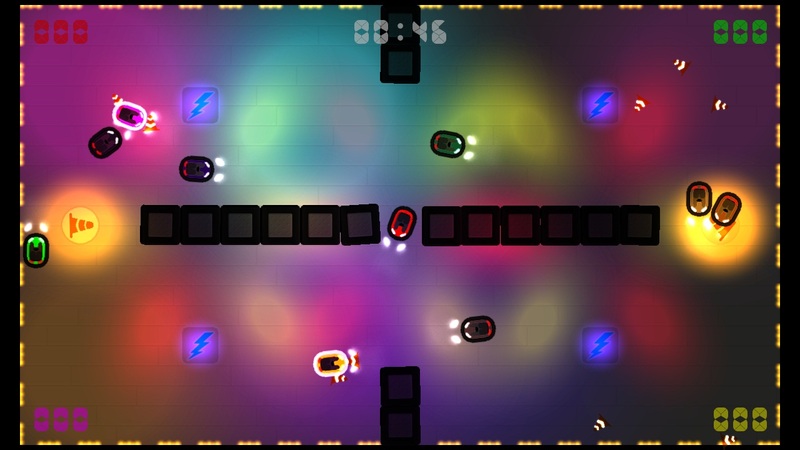 Sticky Bump is a Local multiplayer game, supporting 2-4 players, featuring physics-based bumper car driving and a set of game rules you’ve never experienced before. Thanks for dropping a line Lorenzo! Beautiful games you have there on your website.